Courtesy of DR Horton Inc.
Great floor plan w/huge kitchen w/island & breakfast bar that overlooks great room. Formal living and dining rooms. Large pantry and laundry down. Upstairs you will find 4 large bedrooms w/walk-in closets, plus a loft. Spacious Master Suite w/impressive walk in closet. 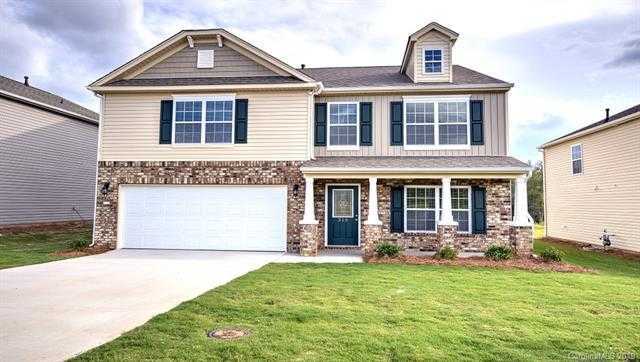 Features Granite kitchen countertops w/subway tile backsplash, Recess lighting in kitchen, 36 x2019; kitchen cabinets w/molding, 9 ft. ceilings on first floor, wrought iron 1st floor stair railing, Raised height adult vanities, Master bath with separate garden tub and shower. Community amenity includes pool, cabana and playground. Please, send me more information on this property: MLS# 3467415 – $279,000 – 161 King William Drive Unit 121, Mooresville, NC 28115.